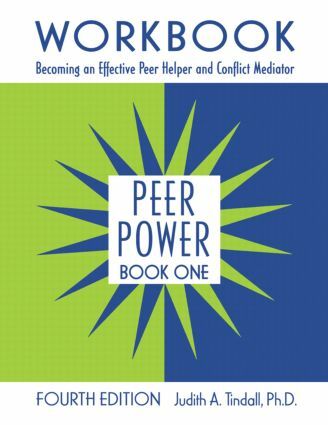 Peer Power, Book One, Workbook brings the participating students through first of all understanding their role as a peer helper, understanding themselves based on much of the Myers Briggs Type Indicator and the Asset Building Model. Next, it takes the participant through eight core skills. The last part of the book indicates strategies for implementing peer work into practice. These strategies include limits setting through ethical guidelines, taking care of themselves, conflict resolving skills and putting peer helping into action. The Workbook provides clear instructions for the skills-focused, guided exercises, in a format that is accessible and enjoyable for students in the Peer Power Program. Welcome to the World of Helping Others!